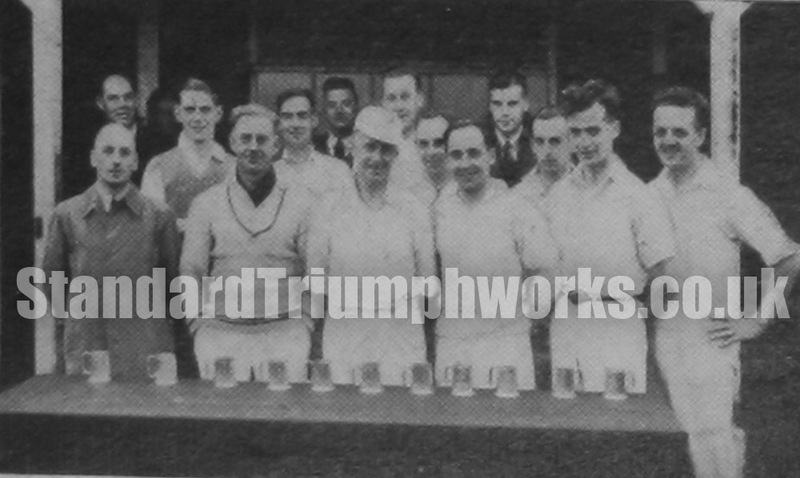 Team photos from 1947 featuring the two finalists of the Inter-departmental Cricket competition. The first (above) shows the winners; the Engine Shop. M.R. Jackson (Captain) is being presented the with the C.J. Band Trophy by Mr Chapman, Chairman of the Standard Cricket Club. The runners up were The Staff. The Engine Shop emerged winners by 104 runs to 58. 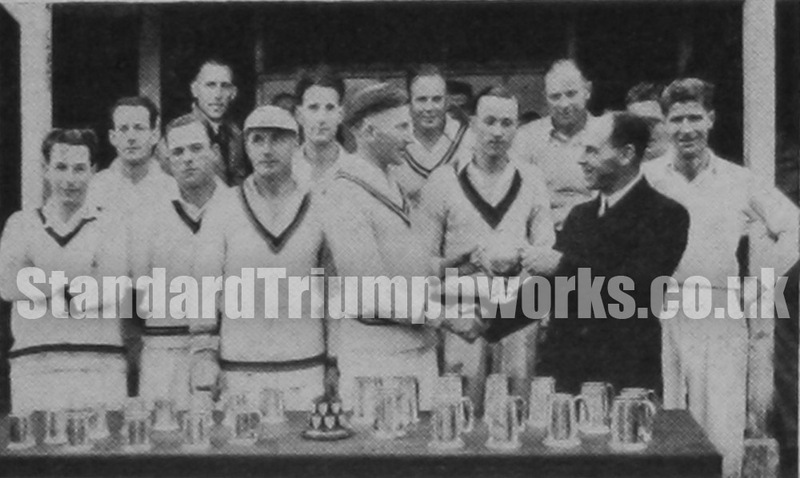 The winners received one pint pewter tankards and the runners-up half pint pewter tankards.